Last year, Rodgers formed a new band to play the songs of Free for a U.K. tour. It’s called the Free Spirit Tour, and the tour included a sold-out performance at London’s Royal Albert Hall. The shows went so well, that Rodgers has released a new 16-song set called Free Spirit—Celebrating The Music of Free (on DVD, Blu-ray, CD & LP). This summer, Rodgers will be bringing his Free Spirit show to the U.S. He will be performing Free and Bad Company songs with his band, co-headlining as part of a special Stars Align Tour that will also feature Jeff Beck and Ann Wilson of Heart. We are pleased to do this new Q&A interview with Rodgers. But before we get started, here’s a rundown of his excellent career and credits. Since then, Rodgers has reunited with Bad Company and toured with them steadily. He has also toured as a solo artist, where he plays songs from Free, Bad Company and The Firm. DK: You’ve released a live album and DVD called Free Spirit—Celebrating The Music of Free. Can you talk about this new release and your recent tour with Free? 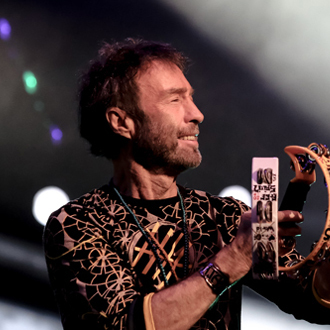 Here’s the video trailer of Paul Rodgers’ new Free Spirit live DVD & CD. Paul Rodgers: We were doing a charity show in Chichester (England), with the proceeds going to Willows (an animal sanctuary). We played songs from Free, Bad Company and The Firm, which I often do. But [the band] really nailed the Free material, and I just loved the way they played it. So I said to them, “One day we will tour and play the Free songs.” And that came to be last year, and we toured the U.K. and played an entire set of Free material. We finished up at the Albert Hall and recorded the DVD there. DK: Was it a special feeling to focus on your Free material for these shows? Rodgers: Oh it really was…it was very pure. It was no sidetracking—it was a pure walk down memory lane for a lot of people. I’m finding out that more and more people were influenced [by Free] and its been somewhat the soundtrack to the things that happened in their lives…births and christenings and all sorts of things. People tell me stories and it’s very touching. The amount of love for the music was just so powerful…it was the warmest, most loving tour I’ve ever done. So I thought we should take this tour over to the States and play it there. So that’s where we are now. DK: Back in the old days, how did Free get started? Rodgers: Well, I was in London and I had a little band called Brown Sugar. We were playing in a club and the promoter loved the blues, so he hired blues bands. We played there, and then (guitarist) Paul Kossoff turned up and asked if he could get up onstage and jam, and I said, “Absolutely.” I had heard of him and I knew he was a good guitar player. So he got onstage and we jammed, and we did “Everyday I Have The Blues” and “Stormy Monday.” In those days, blues was everywhere—you could jump onstage and everyone knew the blues songs like “Spoonful” or “Stormy Monday.” And there was such a magic in Kossoff’s playing that I really liked…we just clicked straight-away musically. So I said to him, “Well, we must form a band.” And Free was born out of that. DK: My favorite song that you’ve written is “All Right Now.” How did you and Andy Fraser (of Free) write this song? Rodgers: We were writing a lot of songs at the time. (Early on) we would play our set, and it was a mixture of blues and songs that we’d written. And I said to Andy, “You know, it would be a really good idea if we could move away from (traditional) blues, and fill the set entirely with our own material. There were bands around like Cream and Jimi Hendrix and of course, the Beatles, and they wrote their own songs entirely and that’s what they played. They had a personality from their music. So we phased out the blues, and the set became songs written by ourselves, except “The Hunter” (a blues hit by Albert King). It was funny…we were doing a show one night and I said, “We need a song that’s actually better than ‘The Hunter,’ if that’s even possible (laughs). And we need to make it something that the crowd could join in with, like say…All Right Now (he sings it loudly). And maybe that’s actually it! I picked up the guitar and worked out the chords for singing “All Rigbt Now,” and then Andy (Fraser) took that away and came back with the opening guitar riff (Paul sings the riff). So we had the verse chords and a chorus. Then I had to work the lyrics out. The title All Rignt Now…what’s all right? I’d read an interview with Ringo Starr, where he was talking about the Beatles songwriting. Ringo said, “Well if you write a love song, it appeals to everybody and that’s all we do, really (he speaks like Ringo and laughs). And I thought, there you go, [the lyric could be] a boy meets girl thing. Because everytime a boy meets girl or there’s a love involved, there’s a new story. I mean, as old as love is, it’s a brand new story every time. So there’s a terrific amount of things to write about with that. So [I wrote the line] ”There she stood in the street,” and I just went from there and it flowed out. I was working on the song, and I remember the guys were coming to pick me up to do some shows. I was just writing it off quickly, and we had the song. Then we played it that night and it went down very well; I think it had a magic from the start. DK: After Free, you formed Bad Company with Mick Ralphs and Simon Kirke. How did you decide to start that band? Then I played him [my song] “Rock Steady,” and we started to write songs together. That was the basis around which we built Bad Company. We just fell into creating songs together. You know, Mick’s a great songwriter…he’s written some stomping songs. And he’s got a wonderful guitar sound that’s uniquely Mick. There are certain musicians that you only have to hear a few notes and you know who it is, and he’s one of those guys. From there, the natural progression was to add a rhythm section. Simon (Kirke) called up and he came ‘round and we had a jam. Then we were looking for a bass player, and we found Boz (Burrell) and we were ready to go. DK: One of Bad Company’s hits was “Feel Like Makin’ Love.” Can you talk about how you and Mick wrote that song? Rodgers: For the Straight Shooter album, we had just come back from Japan and I was jetlagged. We’d all been working hard and we were a bit tired. So Mick and I sat down and he said, “What have you got? Let’s get this together here.” And I said, “Well I’ve got this idea I’ve had for a long time…it’s been on the back burner.” I started singing, “Baby, when I think about you, I think about love.” And he said “You’ve got a good start, what you need is this.” And he plays [this big guitar riff] and I went, “and I Feel Like Makin’ Love” (singing the hook). Then he said, “Okay, that’s good, we’ll do that.” I think I only had one verse at that point, so I went away and wrote another verse or two. Then we recorded it soon after that, and it became one of our biggest songs. Love” at the GRAMMY Museum in 2013. DK: With Bad Company, you wrote some songs by yourself like “Shooting Star” and “Run with the Pack.” When you write on your own, what’s your songwriting process? Rodgers: There’s a lot of different ways. I write songs on guitar, piano and on bass too. I wrote “Wishing Well” on the bass. the very first song I wrote was on the bass was “Walk In My Shadow.” It’s a 12-bar blues. It was my first foray into songwriting, because if you make your own rhythm and you put lyrics on it, you’ve written a song. And having written that song and gotten the band interested in it and playing it and they loved it, it was a boost to my creative juices. I felt, “Right! I’m a songwriter now.” As I got into songwriting, I wrote a lot of songs together with Andy Fraser and we loved doing that, It was interesting to go into a room with nothing, really, and to come out with a song or two. DK: Another big hit that you wrote for Bad Company was “Rock ‘n’ Roll Fantasy.” Can you talk about writing this song? Rodgers: Well, it was a rock ‘n’ roll fantasy. My whole life has been of bit of a rock ‘n’ roll fantasy, to be honest. I needed to write a song at that time, and I’d gotten this new synthesizer. It was a guitar synth by Roland, and you could switch it and it would change into a bass or it would switch into a harpsichord or anything. And I thought…Wow, and I put everything in just to be a little bit silly, and so the guitar was playing everything. It was sounding like a really raunchy guitar, playing bass and piano and harpsichord, and this amazing sound came out. And I said to myself, well this thing is a rock ‘n’ roll fantasy. Then [I start singing the guitar part] and this song came out based on the sound. The song was also based on everything we were doing at that time. (Paul sings) “I love the music and I love to see the crowd! Dancing in the aisles and singing out loud. It’s all part of my rock ‘n’ roll fantasy.” I guess it’s an all-encompassing fantasy that we’re living out a dream. DK: In 1982, you decided to leave Bad Company and start The Firm with Jimmy Page. How did you decide to leave Bad Company and start The Firm? Rodgers: I felt we’d run out of steam a little bit, and I didn’t want to hang around if everyone wasn’t totally focused. At that point, I hadn’t planned to team up with Jimmy Page. I just felt that it was time for me to move on. I wanted to come off the road and just make music at home. I built a studio in my attic in Kingston, just outside of London. At the time, Jimmy was at a loose end because we’d all just lost (Led Zeppelin drummer) John Bonham. Everyone really had the blues after John died. Then Jimmy came ‘round to see what I was up to. He hadn’t played his guitar for a number of years because he was so devastated by the death of John. And nothing could really get him to play. But as soon as he walked in the studio, I said to him, “Hi Jimmy, how are you doing? Did you bring your guitar?” I just figured that the best thing for a guy that’s down and who’s a musician, what they need to do is play. He was a little reluctant, but we got his guitar, we put new strings on, and he was playing by the end of the evening. He was fantastic. Fantasy” live at Wembley Arena. There wasn’t really a plan to start The Firm, but it sort of evolved from there. Jimmy started to come ‘round and he brought a cassette of a piece of music and said, “Can you put some lyrics to this?” It was the music for “Midnight Moonlight Lady” and I wrote the lyrics. So we began to write more songs. Then we got a call from Eric Clapton’s manager; they were running the A.R.M.S. (benefit concert) tour. They were touring in the States and they needed another act to come out. But we weren’t an act…we were just a couple of guys in the studio. We said, “We only have about a half-hour of music,” and they said, “That’s all you need to do.” Then I said, “But we don’t have a rhythm section.” They said, “We’ll get you a rhythm section.” And I said, “Well, we’ve run out of excuses” (laughs). So we went out and did the A.R.M.S. tour. By then, Jimmy had the bit in his teeth and he wanted to go out and play live. I was less keen to go out live, but we compromised and agreed that we’d do two albums and two tours and support them (as The Firm). Jimmy is a fantastic, creative person and a great guitar player and songwriter. DK: This summer, you’re about to go on tour with Jeff Beck and Ann Wilson of Heart. Can you talk about this tour? Rodgers: Yes, I certainly can. I had mentioned Free Spirit—that’s what we’re calling my outfit. And Jeff will be bringing his band and Ann Wilson will be bringing hers, and Deborah Bonham will open the show. I will be playing Free songs and Bad Company songs. When I first decided to bring the Free Spirit show to America, I was just going to do a small theater tour, just the way we did it in the U.K. But with the addition of Jeff Beck and Ann Wilson, it’s gotten to be a lot bigger, a full-on tour. And we’re very excited about it. We went to New York and I met with Ann and Jeff again. We reunited and we did some press there. We’re all really looking forward to this tour.